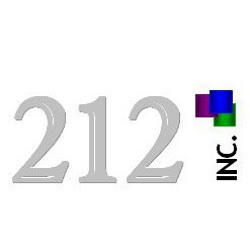 212 Inc.: Great job hunting tips! Is Your Name Holding You Back? You’ve got the flawless résumé, impeccable credentials and the perfect look — you are an employer’s dream candidate. So why is it you’ve been on the job hunt for almost a year and there are no prospects in sight? What gives Beshara the right to tell you to get an attitude adjustment? He has worked with his fair share of job seekers. The president and owner of Dallas-based job placement firm Babich and Associates is a 30-year veteran of the placement and recruiting industry. He’s also an occasional contributor on a little television program called "The Dr. Phil Show." 1. You’re not making finding a job a job itself! Many people don’t adopt a committed, passionate, failure-is-not-an-option attitude and don’t recognize that finding a job is a numbers game. When it comes to interviews, it’s all numbers: the more interviews you get, the better your chances of getting called back; the more times you’re called back, the better your chances of landing a good job. 2. You haven’t developed a system of finding a job. The system should entail everything from goals and intentions that dictate planned activity to role-playing of interviews. 3. You have an unrealistic idea about the market for your skills. There is a tendency for people to overinflate the ease of their ability to find a job, based on a distorted view of the marketability of their skills. This can lead to frustration and disappointment when the job search takes longer than expected. 4. You aren’t acknowledging the psychological and emotional stress that changing jobs entails. By denying this reality, people operate out of fear of rejection. They confuse activity with productivity and focus on minor things that appear to be job-finding activities, but aren’t the most fruitful activities. 5. You ignore small businesses. You’ve forgotten or don’t realize that 97 percent of the businesses in the United States employ fewer than 100 people. America is not run by big business. It is run by small groups of people who organized to provide goods and services. 6. You don’t recognize that face-to-face interviews are the only things that matter. There are all kinds of things you can do to get face-to-face interviews, but you have to get them. Pulling out all the stops by doing anything you can to get in front of a hiring authority with pain (the need to hire someone) is key. 7. You don’t prepare well for interviews. Most people are either not confident in themselves or act arrogant in the interviewing process simply because they are not as prepared as they should be. They don’t prepare and practice presentations on themselves with others. 8. You’re not selling yourself. The vast majority of people going into an interviewing situation simply don’t sell themselves very well. People neglect to do everything from dress properly to focus on what they can do for a prospective employer. And worst of all, they don’t come right out and ask for the job. 9. You have the attitude, "What can you do for me?" Most people consider interviews a two-way street. They believe that the employer is just as responsible for selling them on the company and the job as they are for selling themselves to the employer. They don’t realize that there is nothing to consider until you have an offer. If you give enough reasons to employers as to why they ought to hire you and what you can do for them, they will give you plenty of answers on what they can do for you. 10. You give poor reasons for leaving your job. Whether it’s why you left your last employer or why you want a new job, most people present the reason from a selfish point of view. They badmouth and criticize their current or past employers and justify their own convictions, thinking that a prospective employer is going to identify with them. They’re wrong!